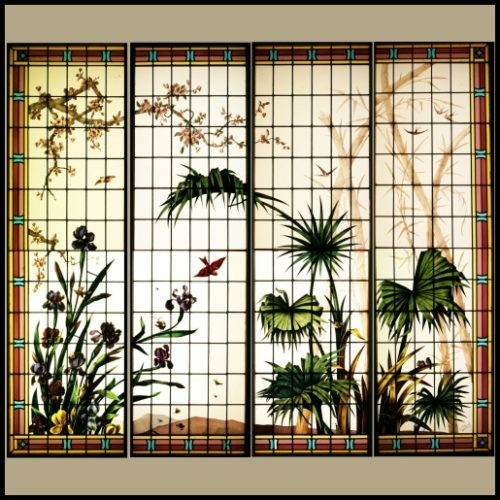 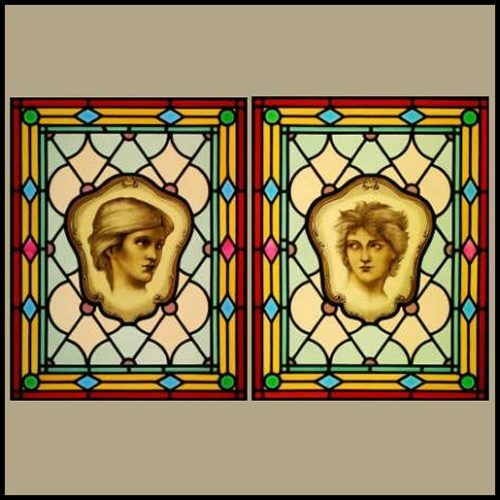 Pair of antique French stained glass windows. 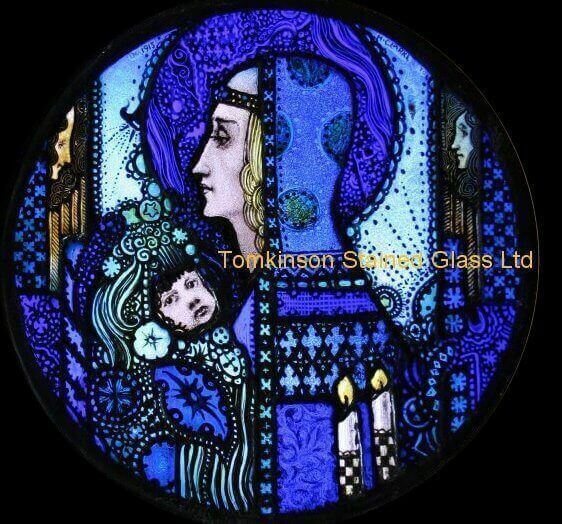 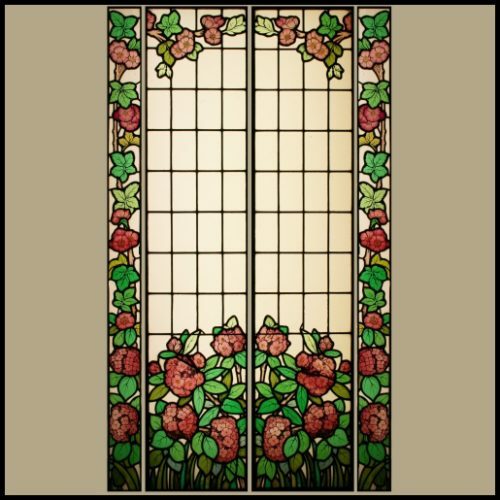 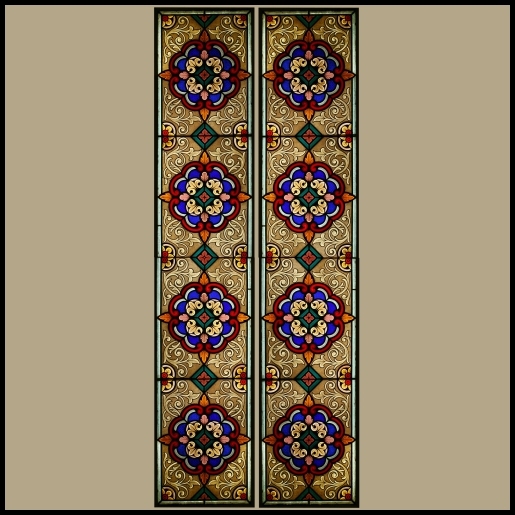 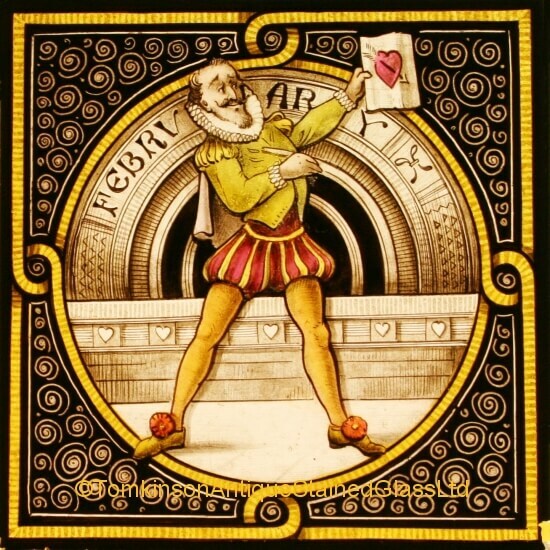 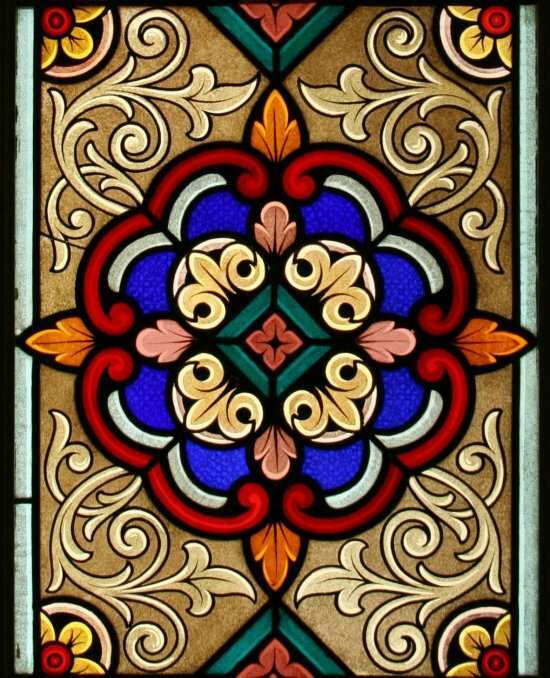 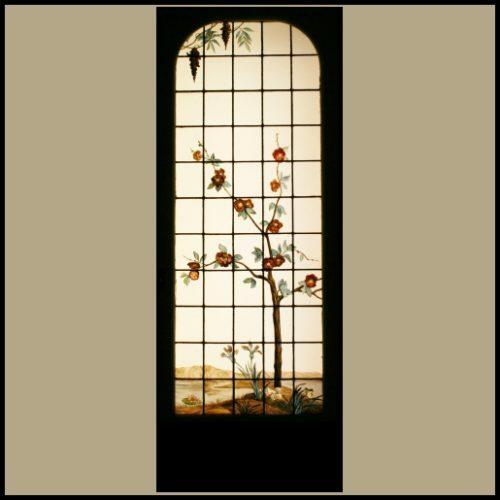 Leaded with coloured glass and finely hand painted glass in a grisaille style. 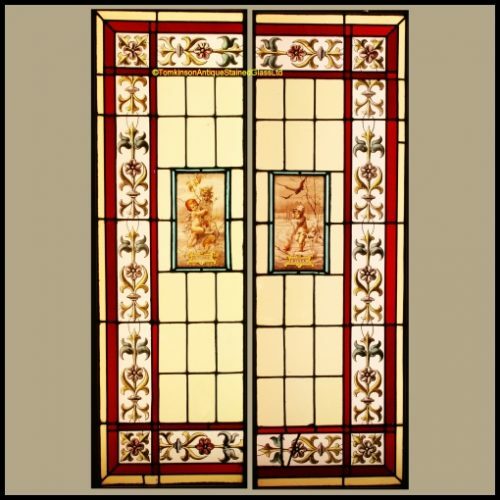 Both in excellent condition and in their original wooden frames.